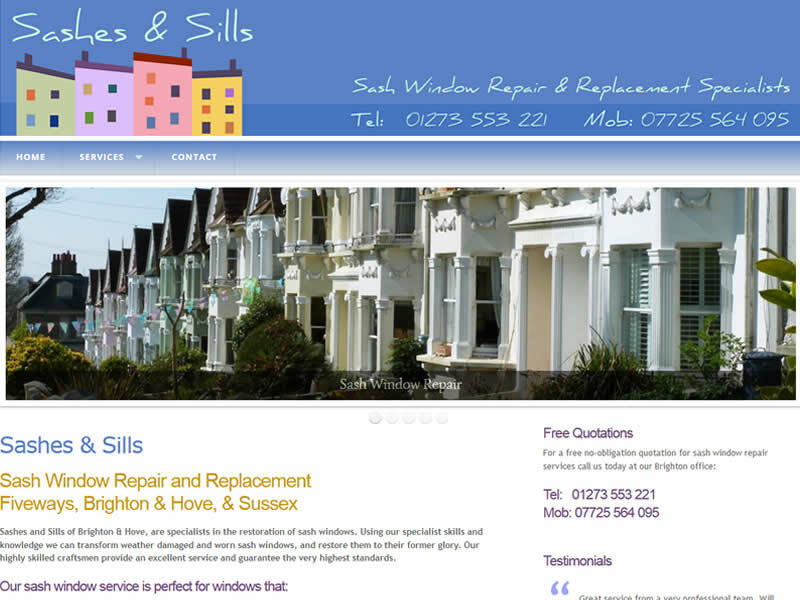 Sashes and Sills are a Brighton and Hove based business providing a repair services for older style properties with sash windows. We built the original website and designed the logo which is also used on letterheads and business cards. When it came time to update the website we provided a responsive layout which displays perfectly on mobiles and tablets as well as traditional desktop PC's.